Perhaps foot and ankle conditions are making you uncomfortable, and you’re not able to get around the way you used to. As a board-certified foot expert with more than three decades of experience, Richard Hochman DPM, LLC, can help restore your mobility with orthotics specially designed for you. If you’re ready to find out how, call or book a consultation online with their office conveniently located in Coral Gables, Florida. Orthotics are commonly used to treat a variety of ailments affecting your ankle or foot. Orthotic devices can relieve common complaints and provide support to help you avoid an injury. They include foot pads, toe separators, shoe inserts, and ankle braces. Orthotic devices come in all shapes and sizes, ranging from orthotics available at the local drugstore to orthotics specially designed for your size, shape, walking style or gait, and condition. Although custom orthotics are more expensive than drugstore varieties, they give you greater support and correction, and last much longer as they’re fitted to your particular foot. Many patients find that orthotics not only offer a tremendous amount of pain relief, but also improve their daily lives. If you’re diabetic, orthotics are especially important to help keep your foot healthy. If you have any signs of neuropathy, or a lack of sensation in one or both feet, wearing the right footwear and having adequate foot support is crucial. Properly sized shoes and orthotics can help you avoid blisters, calluses, ulcers, and more severe problems. If you don’t have one already, you may benefit from a removable insole to relieve pressure and absorb shock when you walk. Orthotics work in many ways, depending on the type of care or support you need. For example, a heel flare furnishes support and helps you prevent a sprain in your ankle. If you have rheumatoid arthritis, an ankle-foot brace helps alleviate pain in your ankle or heel. If you’re considering orthotics, it’s important to consult Dr. Hochman first. Buying the wrong orthotics might change your gait and make your condition worse. 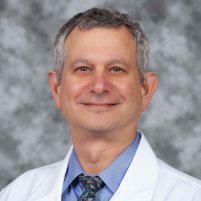 To find out if orthotics can help you, call or schedule a consultation online with Richard Hochman, DPM. He has more than 30 years of experience in foot care and can suggest the right orthotics for you.